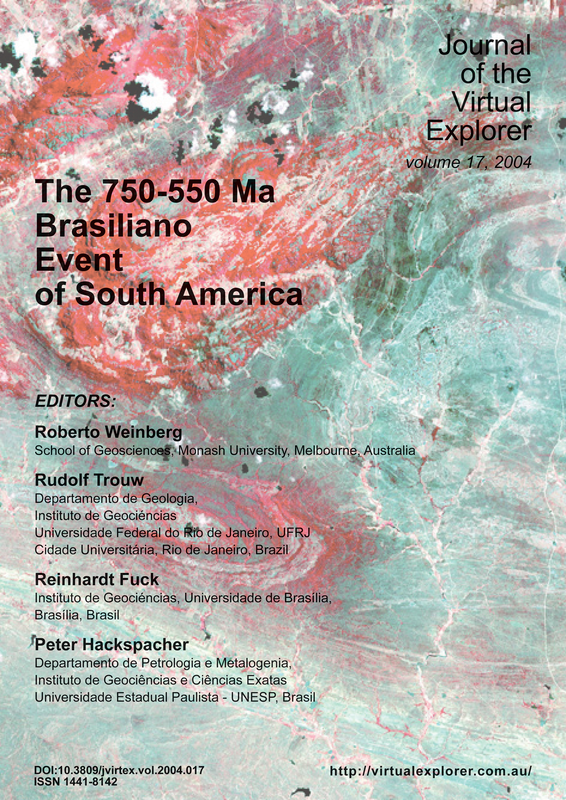 Several NeoProterozoic orogenic belts occur in southeast and south Brazil: the Araçuaí, Ribeira, Southern Brasília, Dom Feliciano and São Gabriel. They developed during the Brasiliano-Pan-African Orogeny that resulted in the amalgamation of Gondwana. The Neoproterozoic orogenic evolution started with the consumption of the Goianides and Adamastor oceans, located at the western and southeastern sides of the São Francisco paleocontinent. Subduction generated magmatic arc suites and was followed by arc-continent and continent-continent collisions. The collisional episodes were diachronous, the oldest are recorded in the SW of the region considered, in the Apiaí Terrane (ca. 790 Ma) and in the São Gabriel Orogen (ca. 700 Ma). They were followed by collisions in the southern Brasília Orogen, in the Apiaí Terrane (ca. 630-610 Ma) and in the Dom Feliciano Orogen (ca. 600 Ma). Then collision occurred in the Ribeira and Araçuaí Orogens in the period between 580 Ma and 520 Ma. Finally, the extensional collapse of the orogens took place from the Cambrian to Ordovician (ca. 520-480 Ma).